In May 2015, Shannon Voelkel graduated with a business administration degree from the College of Charleston in South Carolina. After graduation, she rented an apartment in the port city and started her “dream job” working for a well-known interior design firm. A year-and-a-half later she would learn that life had other plans. An avid runner, Voelkel had cruised through a half-marathon in January 2016. But seven months later she began feeling chest pains during her regular runs. She went to the ER of a local hospital where she got x-rays. The ER doctor found nothing wrong. Then, in September, while up in Baltimore for a family wedding, intensified chest pain sent Voelkel to the hospital where she tested positive for a blood clot. The ER doctor there ordered a CT scan of her chest. Results showed she had an enlarged thymus (a lymphatic gland behind the sternum that plays a vital role in the immune system) that was either benign or a sign of lymphoma, a cancer of the blood. When she returned home to Charleston, she followed-up with a cardiothoracic surgeon to whom she'd been referred. The surgeon discovered a tumor the size of a grapefruit — sitting right on top of her heart. A biopsy confirmed it was lymphoma. 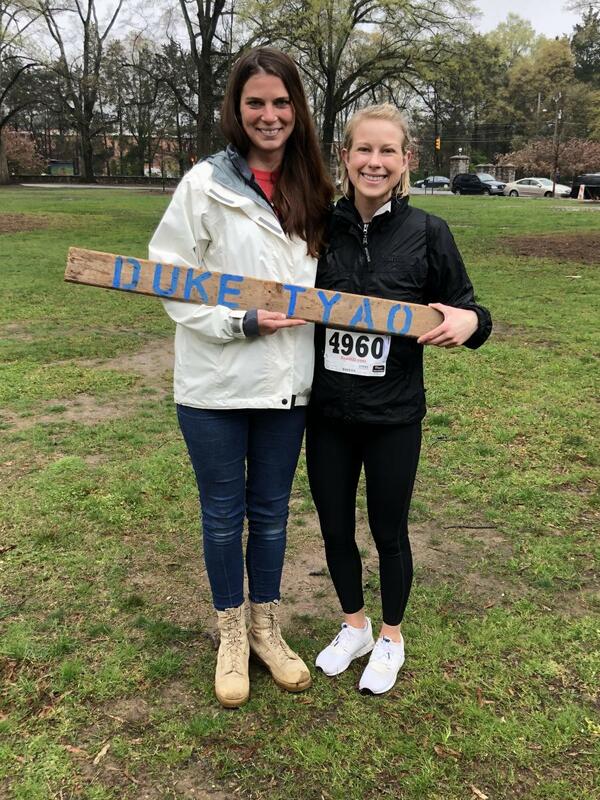 “Immediately after I was diagnosed with lymphoma, my mom said ‘I’m taking her up to Duke,'" said Voelkel, whose parents were living nearby in Chapel Hill, North Carolina, where she was raised. She quit her job, packed up her apartment and moved home. Duke surgeon Betty Tong, MD, performed a second biopsy, and confirmed it was non-Hodgkin lymphoma. Moving forward, under the care of her medical oncologist, Voelkel’s treatment would last for six months with six rounds of chemotherapy. During each round, she was admitted to the hospital for an “exhausting and mentally challenging” five days and four nights; coming in for weekly blood draws in-between. The grueling treatment finally ended in February 2017 and Voelkel would be declared in remission. Thompson recommended Voelkel join the patient advisory council of Duke Cancer Institute’s Teen and Young Adult Oncology (TYAO) program. 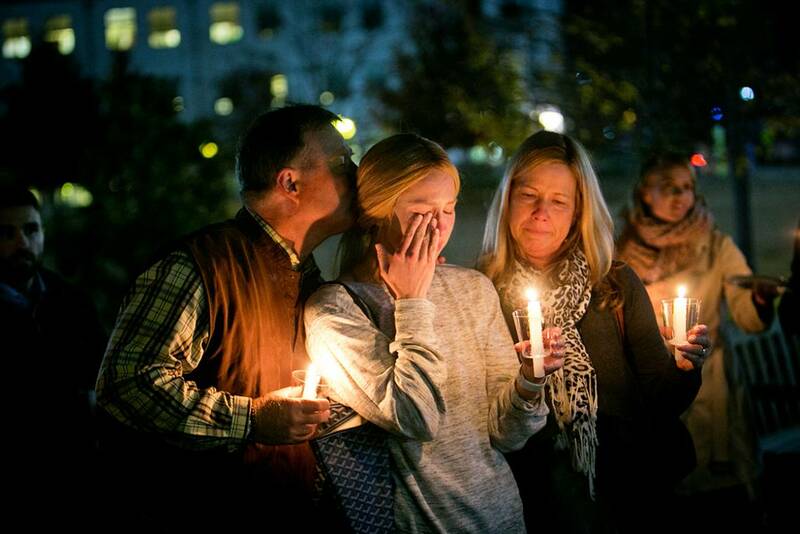 There Voelkel befriended other young cancer survivors; going rock climbing, doing yoga, watching a Carolina Hurricanes game, trying an escape room and just hanging out. Meanwhile, itching to pick up where she left off in interior design, she went job hunting and thought about pursuing a master’s degree in interior design and architecture. This month (August) marks a year-and-a-half cancer-free. Voelkel’s life, at 25, has switched course. She’s nearly done with the prerequisite classes she needs to apply for PA school next summer. Meanwhile, she’s started a new job in the Psychiatry Department at Duke Children’s Evaluation Center, where she wears a variety of hats. She’s helping children with blood cancers and their families access opportunities to bond with others going through similar experiences, serving as a peer coach with a program that helps young adults with special healthcare needs transition from childhood to adulthood, and assisting with a program for children with chronic pain. To help make survivor stories like this possible, support Duke Cancer Institute and follow #MyDukeCancerStory on Facebook and Twitter. Interested in sharing your #MyDukeCancerStory? Email dcidevelopment@duke.edu or call 919.385.0039.